No matter how I twist the build-list, tweek the specifications, modify the available trim and accessory packages, one of the offerings listed in the headline comes out ahead in one very specific buyer’s consideration when weighing the purchase of their next car or light truck. In this comparison, Hyundai Santa Fe Sport Ultimate takes Honda CR-V to the mat when it comes to peddle-happy brute force horsepower and torque. 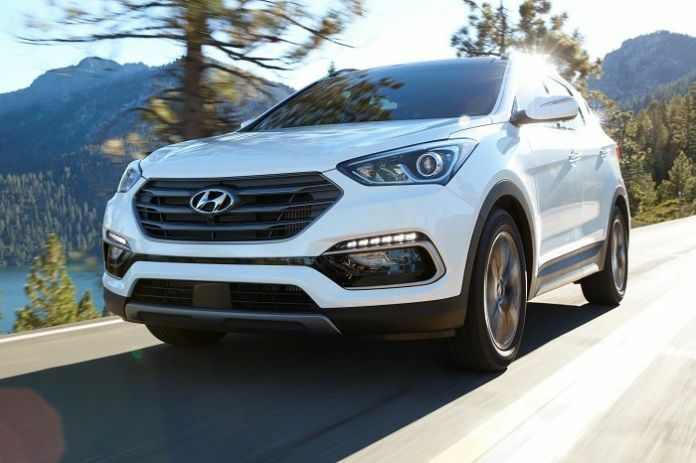 With a stated 240 horsepower @6,000 rpm, and 260 lb-ft torque, Hyundai Santa Fe Sport Ultimate is the quicker of the two. But is it the best choice for family-oriented 2-row crossover buyers? Let’s clear the lingering car-commercial-like diatribe for a moment. In the interest of full transparency, I like the size, utility, and daily drivability of a compact 2-row crossover, or SUV, depending on the manufacturer's classification of their latest and greatest compact CUV offering. Currently, Toyota Rav4 claims the sales lead in one of, if not, the most popular car segments in North America -- although Honda will argue the point, tagging CR-V as the best selling (retail only) SUV of all times -- and that it probably is. Somewhere back there in the auto jargon, public relations propagated fairy dust sits Hyundai Santa Fe, and Santa Fe Sport, two darn fine drivers, astonishingly refined, warranted for 10 years and priced right. Reality check: Hyundai Santa Fe Sport Ultimate has throttle response, and off the light sprint capability more akin to a sport sedan -- while Honda CR-V in any trim level is targeted more towards the soccer mom crowd, then the male urbane commuter that requires the utility of a CUV from time to time, yet would just assume drive a sport coupe on his daily work sojourn. This is where the future forward, just a tad quirky designed, in-your-face, Hyundai Santa Fe Sport Ultimate kicks proverbial but. Hyundai builds one heck of a 4-door sedan for those not needing crossover utility. It’s a bit edgier than CR-V, just like Hyundai design intended it to be. I appreciate Hyundai’s interior design, sweeping dash, minimalist trims, 3-color interior soft and hard surface interface. It’s not warm and cozy feeling, yet contagiously fun to drive. However, Hyundai could learn a thing or two about overall interior comfort and family accommodations from Honda CR-V, Honda’s best selling 2-row CUV. While I give Hyundai Santa Fe a big thumbs up for superior engine power, a comprehensive standard features list, and what I consider to be the best visually balanced exterior design in the segment, Honda CR-V smokes Hyundai Santa Fe Sport Ultimate in interior quiet, 2nd-row comfort, and fuel efficiency. CR-V employs electronic noise cancellation to ensure a relatively quiet cabin environment, and in looking to fuel efficiency, even at the base non-turbocharged Santa Fe Sport trim level, Honda’s smaller displacement 1.5 L turbocharged 4-cylinder engine and CVT transmission kicks Santa Fe Sport to the curb, with a segment-leading fuel efficiency rating of 27/33/29, when compared to Hyundai’s 19/24/21 in Ultimate all-wheel-drive trim. Find Hyundai Santa Fe price and specifications here. At the end of the year, that’s a meaningful fuel efficiency deficit for Hyundai. Granted, we can mix and match trim levels and available tech packages, gaining an MPG or two, as well as a lower adjusted price point. However, opting for the 2.4L normally aspirated mill gains us a paltry 2 mpg highway. Yes! Thirsty. For me, the kids are grown and gone. I don’t even have a dog at this juncture. Nancy and me, well we both love driving a well balanced 2-row crossover. Santa Fe Sport takes the lead in this comparison for the pure thrill of driving. It’s peppy, road tight, and easily maneuvered in town. I like its overall chunky bodystyle and minimalist design cab confines. Honda CR-V remains the best selling SUV in North America for several reasons. 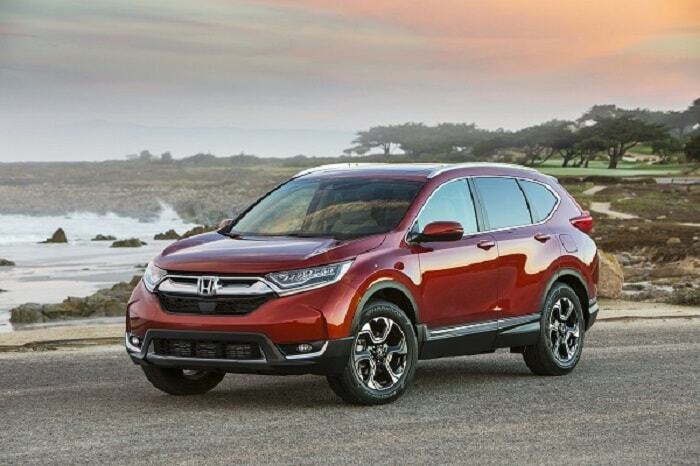 At the base trim CR-V comes to market well appointed, it’s big by compact CR-V standards, has a great view-forward high vantage seating position, and offers Honda SENSING, a very comprehensive advanced active safety package that only Honda has. Find Honda CR-V price and specifications here. While both vehicles in our comparison are fully optioned, all-wheel-drive, with select accessories approach $40K, price-point isn’t the prime consideration here -- we’re reaching the price pinnacle in the sub-luxury SUV segment. I give the nod to Honda CR-V Touring for family accommodating features, more 2nd row leg and headroom, and greater cargo capacity behind row two. It’s overall ride dynamic is just a tad softer than Santa Fe Sport, the dash and center stack layout, a bit more intuitive. I like CR-V for families, or those individuals requiring a larger compact SUV, without opting for a 3rd row. Read my latest Honda CR-V review here.